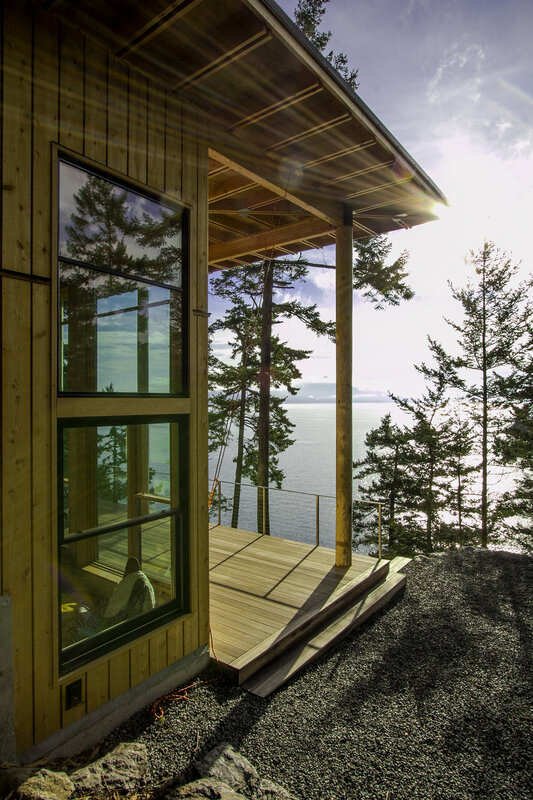 Located on Orcas Island in the San Juan Islands of the Washington Coast, this small 1200 sf home lives large. 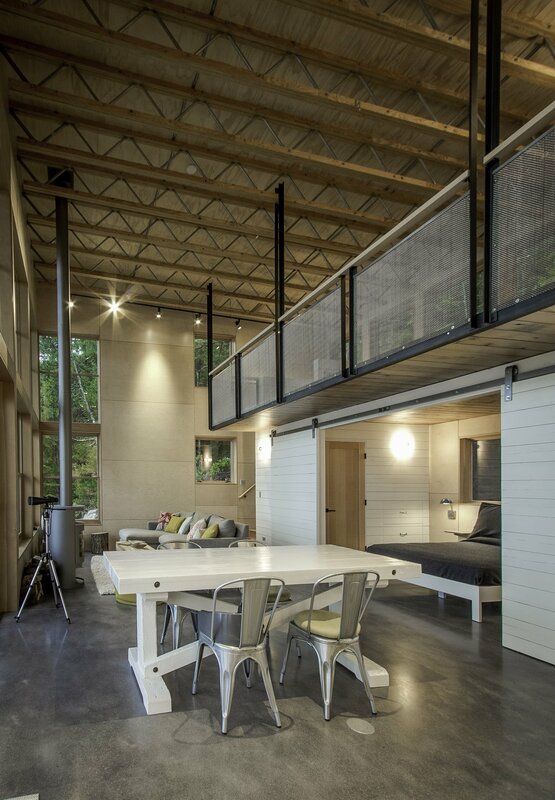 The extension of the roof over the deck columns and beams define an intermediate space both inside and out. The height of the veranda allows for southern light to pour in during winter months, while the depth of the veranda keeps the sun from becoming too intrusive during the summer. 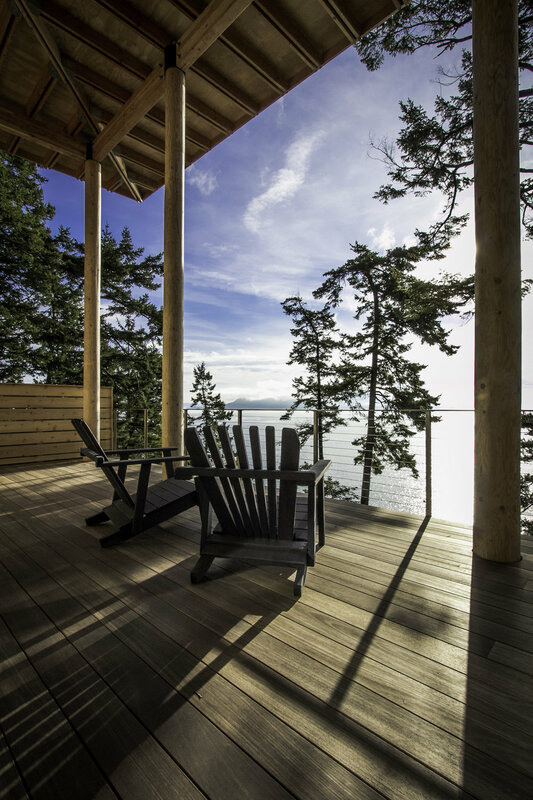 The cabin is perched on a wooded and rocky bluff about 50 feet above the high water mark of the Salish Sea. The house nestles into the trees and rocks so as to include the view beyond without being obtrusive from nearby beaches and the water, allowing expansive vistas of nearby islands.